Topic: Annie's Orchard: 35 years of Growing and Selling Apples and Pears in the Fraser Valley. 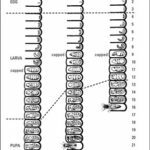 Jim Rahe is Professor Emeritus in the Department of Biological Sciences at Simon Fraser University. Until his retirement in 2004, Jim taught mainly courses in plant biology and in the Department’s Master of Pest Management program where he was the Department’s specialist in orchard, farm and specialty crop pest management. The focus of his research specialization was biology of plant disease interactions. Jim was an active member of the B.C. Professional Pest Management Association (past President), the Canadian Phytopathological Society, and the Fraser Valley Farm Direct Marketing Association (past President). He is knowledgeable about plant propagation and crop production methods, and pest management for a wide range of specialty crops. He and his wife Mary Ann live near Aldergrove, B.C,, and own and operate Annie’s Orchard. Annie’s is a small, high density orchard specializing in direct sales of more than 50 varieties of fresh apples and pears. Apple tree don't come true to seed. In order to obtain the same tree it needs to be grafted. Mike Lascelle has a 38-year background in horticulture including experience as an estate gardener, landscape foreman, garden designer and his current position as the nursery manager at Amsterdam Garden Centre in Pitt Meadows. He holds a Diploma of Horticulture from the University of Guelph in urban forestry, is an ISA certified arborist and a BC red seal landscape technologist. Mike has written three gardening books including his latest, Extraordinary Ornamental Edibles. 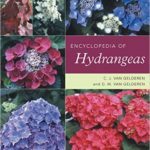 Below is a list of 29 ornamental plants from his book chosen for their aesthetic and edible appeal, as well as food preparation suggestions. Elizabeth Elle is currently Vice Provost for Learning & Teaching at Simon Fraser University. She has been at SFU for 19 years, and studying pollination for over 25 years. Her main areas of interest are the biodiversity and conservation of pollinators in natural areas, and the importance of our wild pollinators for crop production on farms. Some of her conservation work has taken Elizabeth and her students into the gardens and parks of southern BC; resulting in useful information she enthusiastically shares with municipal government and the general public. She lives in Lynn Valley and is looking forward to shared some very interesting information. What can you do in your garden to encourage pollinators? 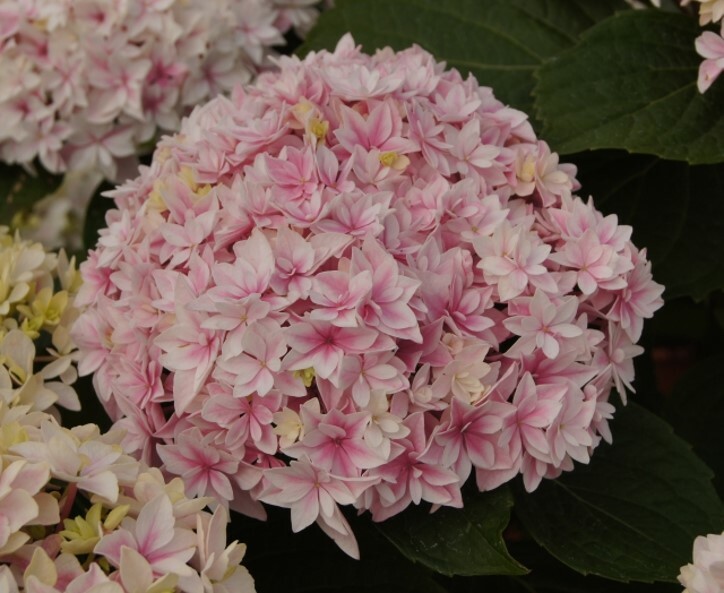 See a list below of plants to consider. 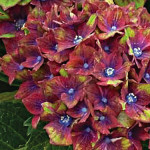 Think in terms of extending the bloom times by having early and late flowering plants. Many plants of one kind is better that only one of each. I am a (mainly) retired Doctor and long-suffering husband of Jackie Morris, responsible for endless weeding and moving plants from place to place on her whims. I have also been collecting and trying to train/grow Bonsai trees since 1986, but with more enthusiasm than dedication to the discipline. I have only been to four workshops and conferences in all those years. So, to be clear, I am emphatically not a Bonsai Master, but I have known several people who were/are accomplished in the field and I have (slowly) learned to keep small trees alive and healthy (no small task!). In addition, I have long enjoyed collecting trees in the mountains and, on occasion, I have actually produced a relatively attractive tree that I'm not ashamed to show friends and colleagues. I am excited to share what I have learned over these 33 years of trying, and I hope my words will encourage some members of the LVGC to take up the hobby. Jim shared his passion for Bonsai with members of our club. Bonsai is the process of training and maintaining small but healthy and attractive trees in containers. It involves design and horticulture. Jim suggested that anyone really interested in taking this up should join a club where it is possible to learn with and from others - do not try to do this alone. 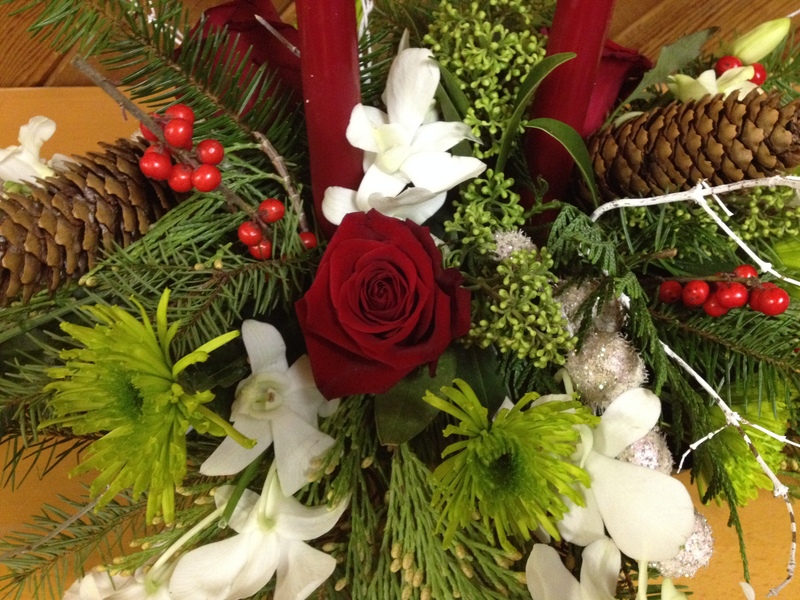 Margitta Schulz from Margitta's Flowers at Lonsdale Quay demonstrated how to make centerpieces. Harmony works as a climate change adaptation planner for the BC Ministry of Agriculture - helping agricultural communities build resilience and prepare for a changing climate. She has also been trained as a climate leader by the Climate Reality Project - a non-profit organization founded by Al Gore that educates citizens about the realities of climate change and advocates for a greener, cleaner future. She holds a Master's degree in economics from the University of British Columbia and after spending nearly two decades in Vancouver, including four years in North Vancouver, has just returned 'home' to Kelowna with her husband and two children. She has always been an enthusiastic gardener, working at garden centres during high school and university and spending many years getting her hands dirty at family’s farm and garden centre in Lake Country, BC. She and her husband are in the early stages of starting a 10-acre hops farm in Kelowna. Plants that know their place. Plants with at least two seasons of interest. Catherine Dale Spoke about the Eagles Estate in Burnaby. 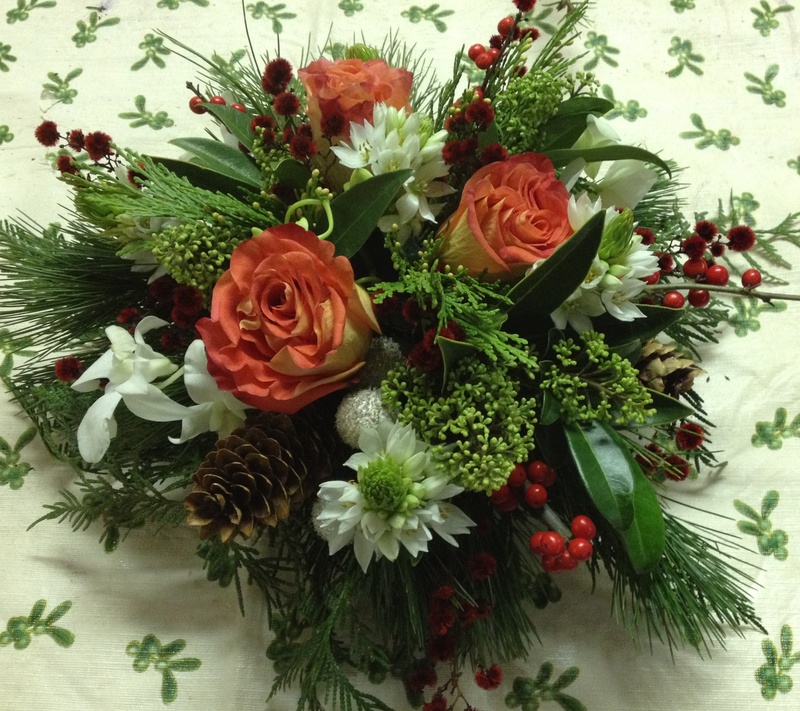 Catherine completed the Journeyman certification in Landscape Horticulture in the early 1990’s. She worked together with the Burnaby School District to teach Gaia College’s Organic Master Gardener program, Plant Knowledge for Organic Gardeners and guest lecture in the Ecological Landscape Design program. Catherine also teaches the Residential Landscape Technician program through Burnaby School District Continuing Education. In 2004 Catherine received the ‘Educator of the Year’ award from the BC Landscape and Nursery Association. In 2006 Catherine received City of Burnaby’s Environmental Award for work at the Eagles Estate heritage garden on the shores of Deer Lake, and for contribution to the successful passing of Burnaby’s Cosmetic Pesticide bylaw. David Tracey is a writer, designer and community ecologist based in Vancouver. He has a master's degree in Landscape Architecture from UBC and has been a certified arborist since 2004. He is the Executive Director of Tree City, a nonprofit environmental group that aims to "help people and trees grow together." His environmental design and consultation company EcoUrbanist works with individuals, companies and municipalities to bring ecological ideas into urban greening project. As well as teaching part time for Simon Fraser University and Gaia College, he works as a journalist and author. His books include Guerrilla Gardening: A Manualfesto and Urban Agriculture: Ideas and Designs for the New Food Revolution. His most recent work, Vancouver Tree Book, became a #1 BC Books Bestseller. We share: The food hub and harvest project have about 30 to 50 volunteers who grow food which is offered to the food bank. They distribute 4,000 to 6,000 pounds of produce in this manner. For more information about the Sharing gardens click here. Emily Jubenvill, the manager of the Edible Garden Project , spoke about their latest project - the Sutherland Schoolyard Market. 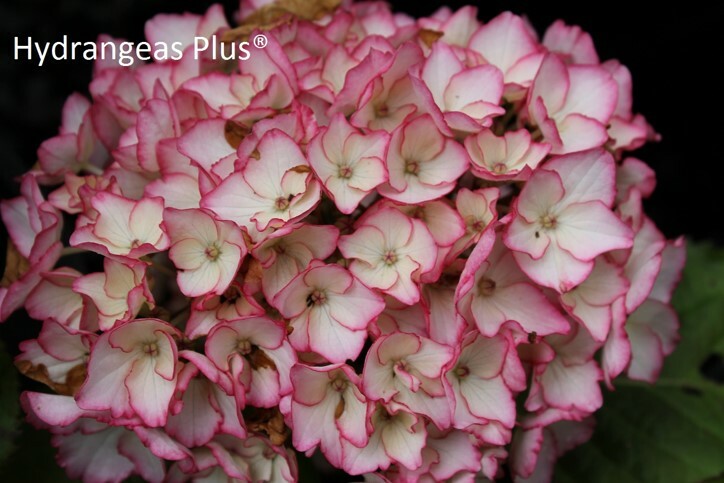 Please visit the Botanus Site for information on bulbs. Elke Wehinger – Co-Founder and Co-Owner of Botanus Inc.
Born in the heart of the Blackforest in Rheinfelden, Germany, Elke has a Master’s Degree in floral design and owned a very successful flower shop in Munich. She immigrated to Canada in 1996 and soon thereafter co-founded Botanus. Elke is very passionate about Botanus and along with her many hands-on skills and marketing genius, she is responsible for most of the wonderful plant photos in the catalogue. 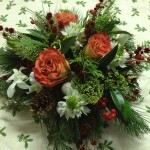 She’s also the brain-child behind the on-line Botanus Garden Club! Elke is a non-stop ‘life learner’ who enjoys giving informative presentations to garden clubs. In the spring of 2014 she took an intensive bee-keeping course and is the proud keeper of happy and healthy honeybee colonies at the Maples Discovery Co-op garden in Langley. 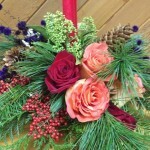 She is an avid reader, kayaker, drummer, floral designer and DIY guru…A true powerhouse! A native Vancouverite, Pam’s love of gardening began as a child when she explored her grandparent’s sunken garden - an inviting European-style landscape they had created around their Vancouver home. After graduating from UBC with a Fine Arts degree she pursued an active career in theatre, television and film and then returned to her ‘roots’ when she co-founded Botanus. Pam’s flair for the artistic can be seen in all that she does - from creating the Botanus catalogues and email newsletters to appearing as a gardening expert on television and radio. She also LOVES being part of the Botanus Garden Club where she gets to have her ‘theatrical’ kick in front of the camera! Like Elke, Pam is a bee keeper at the Maples Discovery Garden Co-op where together they care for a few colonies of honeybees. Pam recently fulfilled her lifelong dream of writing and publishing her first novel. It’s called ‘Flour Garden’! It’s a delightful read for all of us who love gardening, baking and quirky characters! Brian Minter began sharing his passion for plants with British Columbia's gardeners when, in 1970, he and his wife Faye purchased Country Garden Store, a garden shop that had been part of Chilliwack's community since 1957. In 1977, the Minters discovered a piece of land nestled beneath Mt. Cheam and by 1980, that passion for plants was transformed into 32-acre, world-famous Minter Gardens, which closed in 2013. 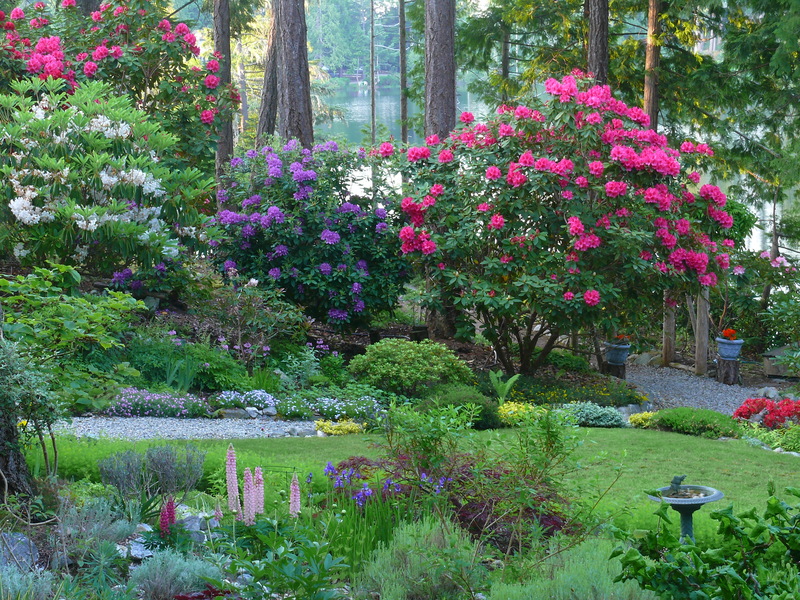 Brian, a University of British Columbia graduate (BA) and Master Gardener, quickly became BC's go-to garden expert through his experience at both the garden centre and the display gardens. As such, he has hosted countless radio and television shows, is a frequent gardening columnist and is the author of Canadian Best Seller, 'Brian Minter's New Gardening Guide - Fresh Approaches for Canadian Gardeners'. Randy Shore writes for the Vancouver Sun' Life and Food section. Link to his column page by clicking here. He spoke about GMOs - Genetically Modified Organisms. For more information on this topic click here. He is also the author of the book: " Grow What You Eat, Eat What You Grow;The Green Man's Guide to Living & Eating Sustainably All Year Round"
A book of recipes and gardening tips for living and eating sustainably and responsibly all year round. Randy Shore's father and grandfather grew up on farms, yet he didn't even know how to grow a radish. Author of .The Green Man. column in the Vancouver Sun , he spent five years teaching himself how to grow food for his family, and then how to use the resulting bounty to create imaginative and nourishing meals the year round. 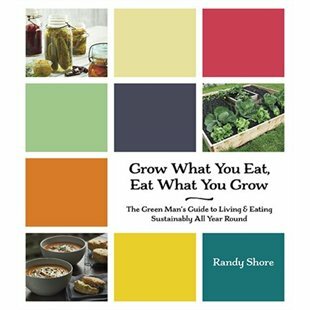 In Grow What You Eat , Randy reveals the secrets to creating and maintaining a thriving vegetable garden, from how to make your own fertilizer to precise instructions on how best to grow specific produce; he also offers advice for those with balcony or container gardens and others who live in small urban spaces. He then shows how to showcase your bounty with delicious, nutrient-packed recipes (both vegetarian and not), including instructions on canning, pickling, and curing, proving how easy and fulfilling it is to be a self-reliant expert in your garden and your kitchen. Grow What You Eat is primarily a cookbook, but it is also a gardening book, personal journal, and passionate treatise on the art of eating and living sustainably. In his quest for self-sufficiency, improved health, and a better environment, Randy Shore resurrects an old-school way of cooking that is natural, nutritious, and delicious. Howard Wills of Fernwood Nursery, Devon, England holds the Plant Heritage National Collections® of Sempervivum, Jovibarba and Rosularia species and cultivars (Houseleeks). He spoke about some of his favorite gardens in the U.K.
Stowe is a Capability Brown designed National Trust landscape garden. Carwinion House (now closed) is an 18th century manor house with a 12-acre subtropical woodland garden with a large collection of bamboos. Trebah is a sub-tropical paradise with a stunning coastal backdrop. Levens Hall has twelve wonderful acres of gardens that include a unique collection of ancient and extraordinary topiary characters sculpted from box and yew. Marwood Hill is located in a steep valley in North Devon. Some of the plants you will see are massed camellia and rhododendron planting, a the bog gardens, carpets of primulas and iris as well as the National Collection of Astilbes. Great Dixter is an historic house, a garden, a centre of education, and a place of pilgrimage for horticulturists from across the world. RHS Garden Hyde Hall is a 145-hectare (360-acre) estate that is constantly evolving, as the gardening team strive to retain the original intimacy and charm of this horticultural gem, while at the same time aiming to restore much of the estate to its former rural glory, including its historic hedgerows and woodland. 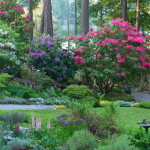 Exbury Gardens are a spectacular 200 acre (80 hectare) site, world-famous for the Rothschild Collection of rhododendrons, azaleas, camellias, rare trees and shrubs. The Gardens at Mount Stewart reflect a rich tapestry of design and great planting artistry. The formal areas have a strong Mediterranean feel and resemble an Italian villa landscape; the wooded areas support a range of plants from all corners of the world, ensuring something to see whatever the season. Drummond Castle Gardens is one of Europe’s and Scotland’s most important and impressive formal gardens. RHS Wisley is one of the largest plant collections in the world. Some of the highlkights are the glasshouse, the rock garden, the trial fields, the Jubilee arboretum, the walled garden and the bonsai walk. Dewstow Gardens and Grottoes contain many ponds and rills and an interesting labyrinth of underground grottoes, tunnels and sunken ferneries. Dyffryn Gardens cover more than 55 acres with intimate garden rooms, formal lawns and an extensive arboretum. The National Botanic Garden of Wales has range of themed gardens, the world’s largest single-span glasshouse, a new tropical Butterfly House, play areas and a national nature reserve. Stourhead is one of England’s greatest landscape garden. RHS Garden Harlow Carr covers 27.5 hectares (68 acres). Some of the areas to explore are a hedgehog friendly garden, a streamside garden, a kitchen garden and an alpine house. 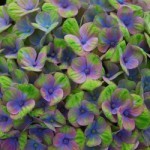 I am a life-long gardening enthusiast (plantaholic!) 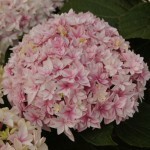 with many years of experience of growing a wide range of plants. I run a small nursery specialising in Sempervivums (Houseleeks) and related plants. At Fernwood, I hold N.C.C.P.G. (Plant Heritage) National Collections® of Sempervivum and Jovibarba species and cultivars (Alpine Houseleeks) and previously, National Collections® of Phormium species and cultivars (New Zealand Flax) and Rosularia species. I have exhibited these plants at all the major Royal Horticultural Society Flower Shows and the exhibits have been awarded RHS Gold Medalsat Chelsea Flower Show, Hampton Court Palace, Gardener’s World Live, Tatton Park, Malvern and RHS Wisley Flower Shows. The nursery is managed in an environmentally sensitive way and I am also very keen on watching, recording and studying our native fauna and flora. I also enjoy visiting gardens and natural environments both in the UK and in other parts of the world. Great Britain has a large number of wonderful gardens showing an incredible range of plants and a fascinating diversity of gardening styles. In this talk I describe a varied selection of British gardens that are, or have been, open to the public and which I have particularly enjoyed visiting, including some Scottish and Welsh gardens as well as those in England. Gwen is a life-long gardener who, as a young child, was fascinated with plants and bugs. She became a discerning observer of how plants grow in harmony with other plants, insects and the diversity of the natural world. This led to a degree in science at the University of Alberta. For the last 20 years she has operated Petals and Butterflies, a farm nursery that specializes in growing plants that attract butterflies and other beneficial wildlife to gardens. 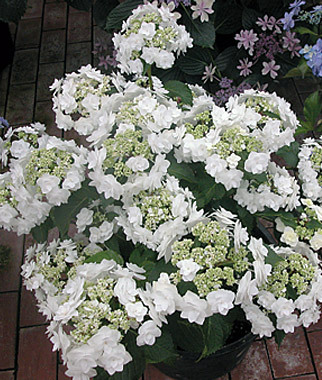 The nursery offers an always interesting collection of rare and unusual ornamental plants that she sells via consignment; for example, her plants can be found in the perennial section of the Van Dusen Plant Sale. She is on the Selection Committee for Great Plants Picks, teaches the Advanced Master Gardener Right Plant/RightPlace course, is a member of the Vancouver Hardy Plant Group and was on the organizing committee for the Hardy Plant Study Weekend 2013, and is a long-time member of the South Surrey Garden Club. Her garden has been open for local, national, and international tours, and is open to garden clubs by request. Gwen is a Langley resident, married to Paul, a mother of three, and a grandmother of four. The history of West Coast Seed, which can be found here. What seeds are suitable for my region? What type of seeds do I want to grow? How much sun do I have? Julia Common is a Master Beekeeper who has been keeping bees since her university days. She shared the history of the non-profit organizationHives for Humanity she created with her daughter in 2012. Hives for Humanity started with a single hive in a community garden in the Vancouver's Downtown Eastside, and has grown to include 250+ colonies throughout Metro Vancouver. Julia believes in the therapeutic power of the bees, and in their ability to connect all people to nature, community and self. 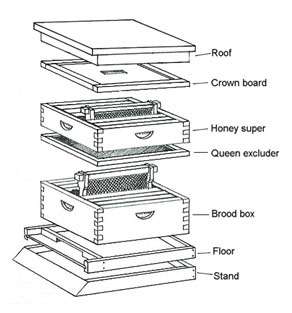 Worker bees are infertile female bees that do all the work in the hive: cleaning, feeding the baby bees, feeding and taking care of the queen, packing pollen and nectar into cells, capping cells, building and repairing honeycombs, fanning to keep the hive cool and guarding the hive. 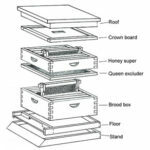 For information about the Feed the Bees Project of the Earthwise Society in Delta, BC click here. Todd Major spoke on the topic of Holistic garden design. Landscape fabric isn't great for weed control as the weeds will grow above or below, however, it is good for erosion control. If transplanting a large bush or small tree, without machinery, the plant can be raised to ground level by filling the hole as you go. Roll the plant to one side and fill the hole a bit then roll to the other side, on to the soil that's just gone in, and do the same. Continue until hole is filled. Bark mulch is Todd's preference to keep squirrels off bulb beds. Hemlock-Fir 3/4 inch minus (the standard bark mulch at Norgate). They don't like slivers in their faces and hands plus the smell hides the scent of the bulbs. 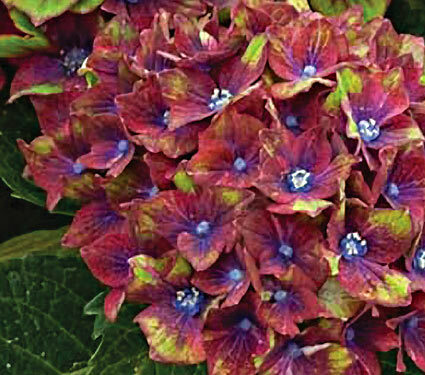 Malonie Hewstan made a presentation on hydrangeas. 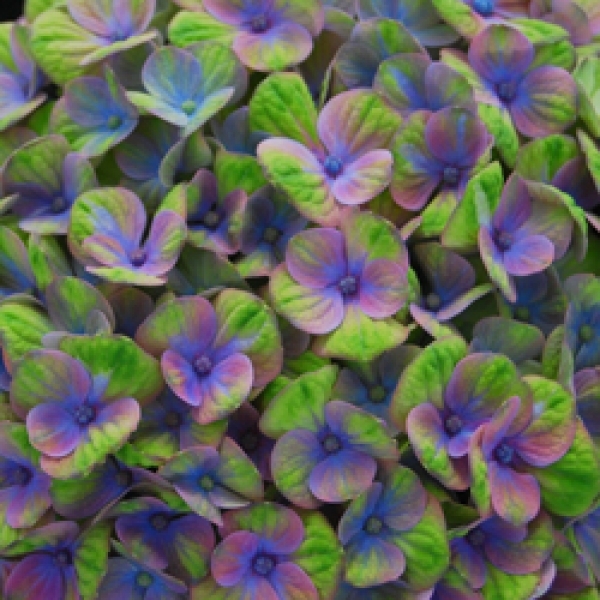 The origin of most hydrangeas can be traced back to Asia. 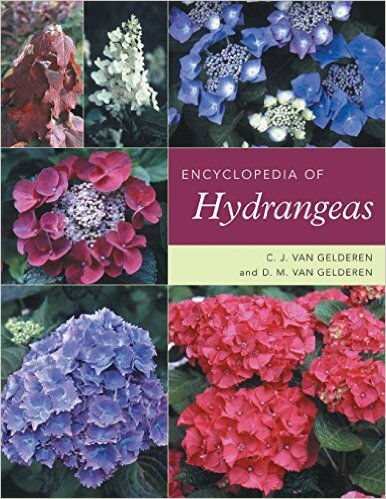 She suggested "The Encyclopedia of Hydrangeas" by C. J. van Gelderen (Author), D. M. van Gelderen (Author) as a good resource. Invasive alien species are a threat to biodiversity, agriculture and infrastructure. With early detection, reporting and rapid response the impacts can by reduced before they get out of control. Sam Cousins is the West area Stewardship Research Technician for Metro Vancouver. His work focuses on connecting the public with ecological restoration events within the regional parks system and the management of invasive species. He has gained a wealth of invasive species identification knowledge and treatment options experience from working for Brandywine Provincial Park, the Sea to Sky Invasive Species Council and Stanley Park Ecology Society. Sprouting chefs is a BC registered non profit organization based in the Lower Mainland who strives to support the development and cultivation of school garden programs. Growing Chefs! Chefs for Children’s Urban Agriculture gets kids excited about good, healthy food. In their Classroom Gardening and Cooking Program, chef and community volunteers are paired with elementary school classrooms (grades 1-3 for the primary program, 4-6 for the intermediate) to give students hands-on experience growing and cooking their own food. Project CHEF: Cook Healthy Edible Food is an experiential, curriculum-based school program aimed at children in kindergarten to grade seven that teaches students about healthy food: where it comes from, what it tastes like, how to prepare it and how to enjoy sharing it around a table. The Edible Garden Project in North Vancouver is transforming front-yards, parks, boulevards, rooftops, and schoolyards across the North Shore into inspiring and active edible landscapes. They believe that everyone deserves to access good food with dignity, and to fall in love with fresh picked produce. They use food as a platform to transform community, address urban environmental, health, and social issues, and empower citizens of all ages to get their hands in the soil and learn to grow their own. Community Supported Agriculture (C.S.A.) is a program of mutual commitment between a farm and a community of supporters. It links people directly with their source of food, providing them with the most fresh, sustainably produced food; it gives farmers a source of income at their time of highest expense (early spring). Shareholders purchase a share in the season's harvest and receive a weekly package of food. Square Foot Gardening (commonly referred to as SFG) is a planting method that was developed by American author and TV presenter Mel Bartholomew in the 1970s. It's a simple way to create easy-to-manage gardens with raised beds that need a minimum of time spent maintaining them. SFG rapidly gained popularity during the 1980s through Mel's first book and television series and since then has spread across the world, eventually going 'mainstream' with several companies offering ready-to-assemble SFG gardens. SFG advocates claim it produces more, uses less soil and water and takes just 2% of the time spent on a traditional garden. 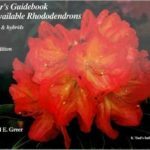 Ron Knight spoke about environmental needs for rhododendrons growing wild in Asia and spoke about how to use this information to grow them in B.C. 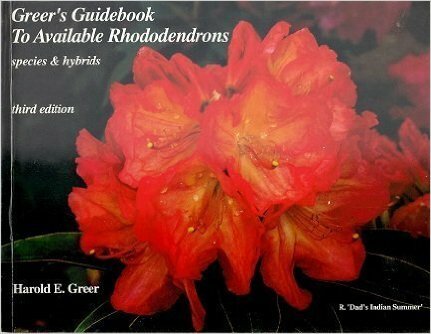 "Greer's Guidebook to Available Rhododendrons" was as a good resource. Mike Nassichuck spoke about mason bees. His handout is below. Bio: Margaret Nakahara and her husband Koichi have been growing orchids since the 1970s and their orchid collection has grown from a few plants to more than 350 today. 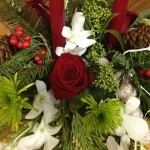 They are both members of the Vancouver Orchid Society, the Fraser Pacific Rose Society and the Lynn Valley Garden Club. Margaret earned gold and bronze medals for floral art in the World Orchid Show held in Vancouver in 1999. In 2017 one of her orchids received the Award of Merit from the American Orchid Society, and she was able to name that cultivar for registration with the AOS. 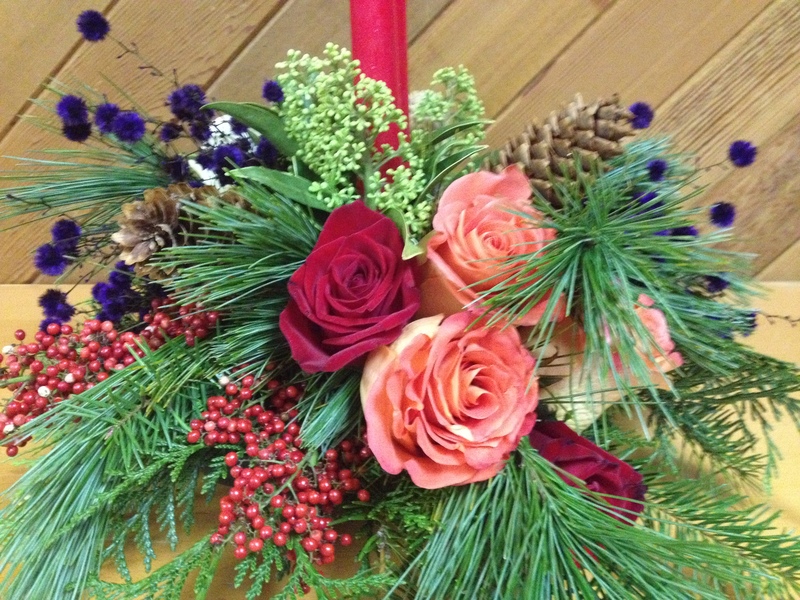 Margaret is a past-president of many floral art and horticultural clubs, including the BC Council of Garden Clubs. She is a founding member of the Horticultural and Floral Design Judges of BC, and a senior show judge of Horticulture and Floral Art. Orchids are epiphytes not parasites. They grow on the surface of a plant and get moisture and nutrients from the air, rain, or from debris accumulating around it. The do not like to be wet. They can grow in a variety of media such as bark, perlite, lava rock and hydroponic beads – they just need something to anchor their roots in. In order to bloom orchids need a 10 degree difference between daytime and nighttime temperature. Repotting them can help promote blooming. Phalaenopsis can be repotted once a year. Cymbidium should be repotted every 3 years. When repotting an orchid note down the date it has been repotted. Cymbidium can be put outside in the summer but must be introduced to the sun slowly. Cypripediums are native from Alaska to California and can grow outside in the semi shade .however they need protection in winter from too much rain. They do not mind the cold. Do not cut the stalk on Dendrobium as blooms develop on it. Pleione is an outdoor orchid that needs a sheltered condition near the house but should not be allowed to dry out. If the roots look rotten sprinkle them with cinnamon or garden sulphur. Carla and Wilhelm Bischoff - Our prize winning garden - One of Steve Whysall's top 10 favorite gardens in the lower mainland. David has over 20 years growing experience using organic and ecological principles in a variety of settings, including garden projects in the downtown Eastside of Vancouver, coordinating a permaculture project in Ecuador and farming in the Fraser Valley. In 1999 he received his Permaculture Design Certificate from Linnaea Farm Ecological Gardening and Permaculture Design Program on Cortes Island. In 2014 he completed an Advanced Permaculture Course in Teaching through the Cascadia Permaculture Institute. He has had the opportunity to experiment with seed breeding, low till annual production, intercropping and companion planting, and poultry and sheep integration. He has taught workshops in gardening, composting, and seed saving to adults and children. For the past 13 years David and his wife have made their livelihood helping run Glorious Organics Cooperative, a farming enterprise in the Fraser Valley, while cooperatively stewarding land at Fraser Common Farm Co-op where they live and homeschool their three children. The Permanent Principles website is full of information regarding permaculture. It explains the design principles and ethics of Permaculture. “The Essence of Permaculture” which is a summary of permaculture concepts and principles taken from Permaculture Principles and Pathways Beyond Sustainability by David Holmgren is available as a free download here. They now save seeds and are part of the BC Eco Seed cooperative. 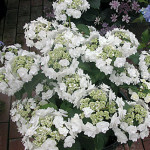 David Sellars is an award winning photographer and is the Past President of the Alpine Garden Club of British Columbia. 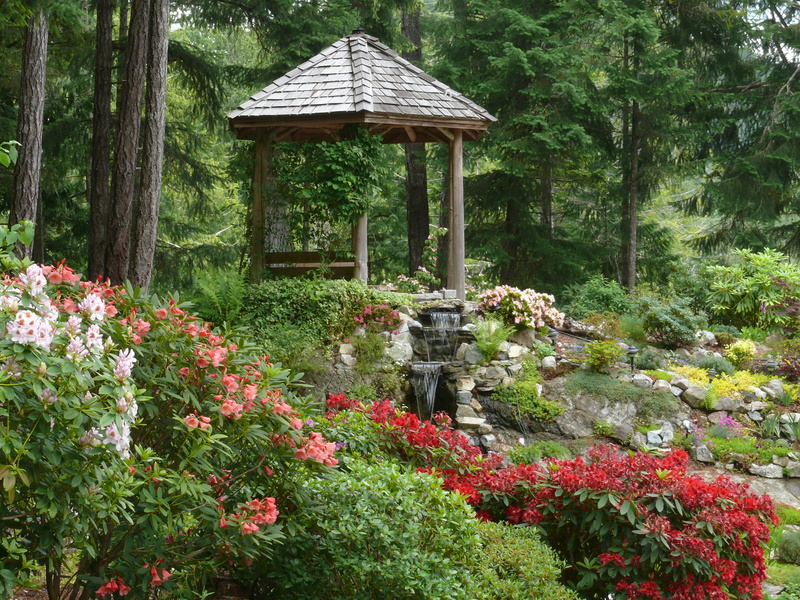 Together with his wife, Wendy, he is developing an extensive alpine and woodland garden in coastal British Columbia. 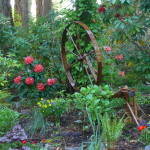 Their garden won the NARGS Millstream Garden Award in 2012. He has written articles on rock garden design and alpine plant explorations for the NARGS Rock Garden Quarterly, the International Rock Gardener, and the Saxifrage Magazine. A selection of his photographs were published in the recent book Alpine Plants of British Columbia, Alberta and Northwest North America. His images will also be included in a new edition of Arthur Kruckeberg's Gardening with Native Plants of the Pacific Northwest. Egan Davies, gave a fascinating talk: Pink Mountains and the Foothills of the Northern Rockies. Arctic tundra species drop down to the region and alpine tundra species overlap. The mountains are folded layers of rock, including sandstone and limestone, so layers with different nutrient levels have been exposed in folding. The rock has been broken down by glaciers and wind to create rich soil deposits. The west side is steep and glaciated, the east side prairie. Topography influences the soil deposits, with fragments collected in windy areas and deposited in still areas. Dryas octopetala commonly started growing on rock, breaking it down to soil and allowing other plants to start growing. Frost bubbles have rich soil pulled up from deeper in the earth. 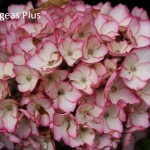 Silene acaulis loves to grow on the bubbles and gives the appearance of bright pink beacons. There are no bees in the area. The primary pollinators are flies, then butterflies and mosquitoes. Many of the flowers are flat and disc like as a strategy to attract pollinators; the flies like to warm themselves on the yellow flowers. Many flowers are also highly fragrant to attract more than 50 species of butterflies in the area. Pedicularis labradorica and Rhododendron lapponicum grew in the harshest exposed conditions on Pink Mountain where nothing else would. Egan’s testing of soil collected in the area showed pH 6-7 where most plants were growing. Where almost nothing was growing, the soil had pH 3; highly acidic from the seas that the mountains had arisen. Satya Brown is a retired physician in North Surrey. Her hobby is garden photography and public speaking. She has had a show garden for several years. She spent 17 years gardening in Cuba. She feels that the most important issue today is saving the human race from self-destructing. Gardening is extremely important. Ralph Nevill is an arborist with the District of North Vancouver where he responsible for enforcing the District’s Tree Bylaw and Tree Policy for all trees on District property and the supervision of the District’s field crew and contractors. He is also responsible for the District’s Noxious Weed program. His education includes a B.Sc. in Plant Science (Horticulture) from UBC, a Masters in Pest Management from Simon Fraser University and a PhD in Plant Pathology from Virginia Tech. Topic: Introducing Rain Gardens or What's a Rain Garden...and why Should I Care? Biographical Information: As volunteer Rain Gardens Coordinator for Cougar Creek Streamkeepers since 2006, Deborah Jones has been closely involved in the design, construction, planting and maintenance of 28 rain gardens at North Delta schools and other community locations. She also advises The Nature Trust of British Columbia on their rain garden grant program. She has a BA in Urban Studies, a Masters of Library Science, and worked at Vancouver Public Library for over 30 years. Topic: “Rain gardens” are sprouting up everywhere. But surely every garden in Metro Vancouver is a rain garden, given the amount of rainfall we get? Not quite! Learn exactly what rain gardens are, the many benefits they provide, and why they’re essential to environmental sustainability and salmon. Take a photo tour of some of North Delta’s 28 school and community rain gardens, then get ideas for using rain gardens large or small to create drought-resilience and/or to solve property drainage issues in an economical and aesthetic way -- at your house, strata, workplace, church, temple or other property. Did you know that only 2.5 percent of the water on earth is fresh water and that only about 1 percent of this fresh water is easily accessible with much of it trapped in glaciers and snowfields? The rest of the water on earth is saline and ocean-based. Rain gardens soak up precipitation, store it in the ground and slowly release the excess water to rivers, streams etc… They act as a miniature forest or wetland. When we develop landscapes water infiltration is reduced. For example on a natural landscape about 1% of the water runs off the ground, there is some evaporation and the rest is infiltrated in the ground. After an area is developed 40% of the water runs off the surface (roofs and pavements) using a drain system that connects to a network of underground pipes to a creek nearby. The runoff from the pavement picks up litter and pollutants which all end up in the creek. 80% of the plastic and oil pollution in the oceans comes from storm drain pollution. See the handouts below (provided by Deborah) for ideas on building a rain garden, disconnecting downspouts to help slow peak flows and reduce stream erosion, home tips for healthy streams, a checklist for successful rain gardens, a list of rain gardens in Delta, and a list of successful garden plants for rain gardens. Egan Davis is currently the Chief Instructor, Horticultural Training Program (HTP) from UBC Botanical Garden. The HTP is the only full-time horticulture training program in Metro Vancouver north of the Fraser River. 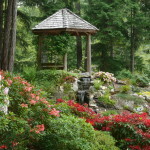 UBC Botanical Garden provides a rich training environment for the program. Instruction is fully integrated with horticultural activities in the Garden and garden staff participate in training and mentoring. Egan worked at Park and Tilford garden many years ago under the direction of Todd Major. 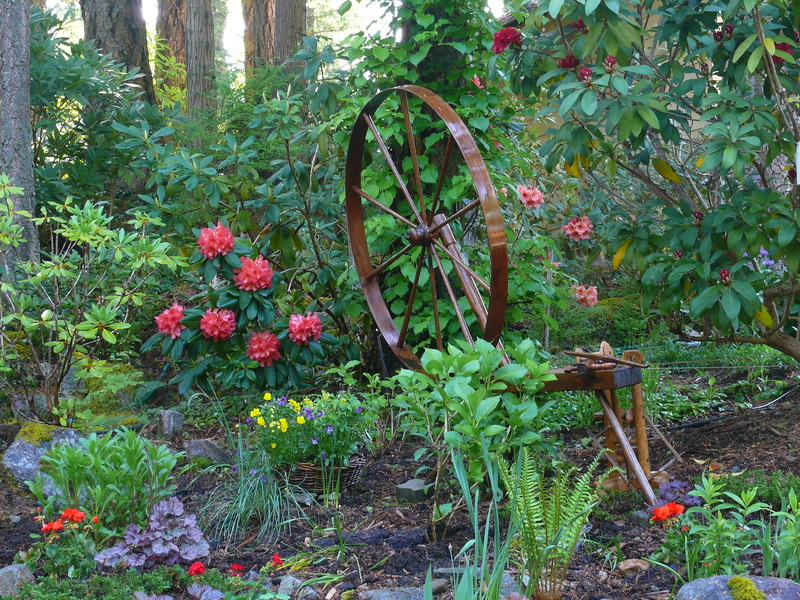 Egan previously spoke to the Lynn Valley Garden Club in February 2005 on ‘Spring Gardening’ and again in November 2014. Congratulations to Egan Davis, 2016 recipient of the BC Landscape & Nursery Association's Educator of the Year. Emma Holmes is a young farmer and soil scientist. She studied sustainable food systems (B.Sc.) and soil science (M.Sc.) at UBC, and permaculture at the Bullocks Brother's Homestead in Washington. Currently, she farms a 2-acre market garden and teaches soil and plant science for Kwantlen's Farm Schools. She spoke on the topic of Sustainable Agriculture in Cuba. Day 22 until they die - they collect pollen to feed larvae and gather nectar and water to make honey and of course pollinate flowers while doing this. Margaret Cadwaladr, author of "In Veronica's Garden" (a book about the Milner Gardens in Qualicum Beach) made a presentation about a visit to Wisley Gardens in Surrey, England.